Emmanuel Horch was born to Lutheran Pietist parents—Edward (1876–1959) and Katherine (Esslinger) (1879–1956) Horch—on December 21, 1912, in Winnipeg, Manitoba. The family had recently moved from Freidorf, Russia, in 1909. They worshiped in the North End Mennonite Brethren Church. The Horch family was a musical family with Emmanuel’s brothers also becoming involved in the musical endeavors. His older brother, Benjamin (1907–1992), was an acclaimed musician and conductor. Emmanuel (Mel) began to show an interest in music at the early age of 13 when he began to play the violin. At the age of 18 he won the Jr. Music Club Award. After his school career, he found employment in a variety of areas such as Western Grocers, Piggly Wiggly, and later Paul Revere Life Insurance. However, his greatest love was teaching and playing the violin. As a teacher and musical performer, his skills were in high demand in the community. He loved teaching music and the children. He continued his teaching career through to his 82nd birthday, at which time he had taught over 1,500 students. On May 23, 1936, he married Agatha Klassen (1914–1988), sister to C.F. Klassen (involved with the Canadian Mennonite Board of Colonization). Four children were born to the couple: Victor, Ron, Elfrieda, and Ron. Emmanuel Horch passed away on March 10, 1996. The material in this collection came to the Centre between October 3 and November 1, 1996. George Warkentin deposited the material at the Mennonite Heritage Centre in Winnipeg on October 3, 1996 and then it was transferred here to the Centre For Mennonite Brethren Studies, Winnipeg. The records in this collection deal with Horch’s music teaching career. There are basically two kinds of material. The first are records of students and payment for lessons, and the second, music with arrangements for stringed instruments. The arrangements or transcriptions appear to be done by Horch. The arrangements and transcriptions are difficult to date because there are no marks on the material that hint at a date. The earliest material consists of published music and the later material consists of transcriptions and student records. Described by Conrad Stoesz, September 27, 1999. Record of violin lessons including students, schedule and records of payment. -- [ca. 1960–1986]. Record of violin lessons including students, schedule and records of payment. -- [before 1962]. Record of violin lessons including students, schedule and records of payment. -- 1961–1962. Record of violin lessons including students, schedule and records of payment. -- 1964–1965. Record of violin lessons including students, schedule and records of payment. -- 1966–1967. Record of violin lessons including students, schedule and records of payment. -- 1968. Record of violin lessons including students, schedule and records of payment. -- 1969–1970. 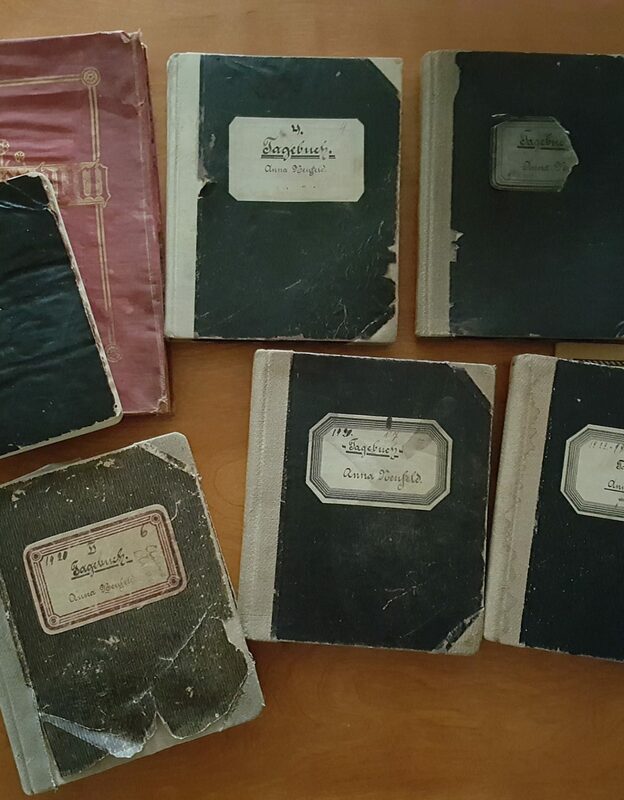 Record of violin lessons including students, schedule and records of payment. -- [1971–1972?]. Record of violin lessons including students, schedule and records of payment. -- 1972–1973. Record of violin lessons including students, schedule and records of payment. -- 1973–1974. Record of violin lessons including students, schedule and records of payment. -- 1975–1976. Record of violin lessons including students, schedule and records of payment. -- 1976–1977. Record of violin lessons including students, schedule and records of payment. -- [1978–1979?]. Record of violin lessons including students, schedule and records of payment. -- 1982–1983. Record of violin lessons including students, schedule and records of payment. -- 1984–1985. Record of violin lessons including students, schedule and records of payment. -- 1985–1985. Bornoff, George, Bronoff’s Tonal Patterns in Melody: Book 1 for Violin, Toronto, Ontario: Gordon V. Thompson Limited, 1963. Signed and dated George Bornoff, January 1964. -- 1964. Music arranged for “Emmanuel Horch Appreciation Evening,” September 26, 1993. Songs include “Oh Lord my God,” “Just as I am,” “Holy Holy,” “O Gott, Mein Gott! So Wie Dich.” -- 1993. “Prayer of Thanksgiving for three violins,” arranged by P.K. -- [197-?]. Hine, Stuart K., How Great Thou Art, Minneapolis, Minnesota: Manna Music Inc., 1955. with transcriptions for 2 violins. -- 1955, [196-?]. Cesar, Franck, arr. by Carl Deis, Father Most Merciful, New York: G. Schirmer Inc, 1940. with transcriptions for 3 violins. -- 1940, [195-?]. Croarkin, W.E. and Chas A. Donelson, Sweetest Mother, Winnipeg, Manitoba: Mello-Music Publishing Co., 1955. With transcription for 4 stringed instruments. -- 1955, [198-?]. Neander, Joachim arr. by Carl F. Mueller, Praise to the Lord, the Almighty, New York: Carl; Fisher Inc., 1953. With transcription for 2 violins. -- 1953, [197-?]. Tynan, Katharine and Hugh S. Roberton, All in the April Evening, Toronto, Ontario: Boosey & Hawkes Limited, 1939. With transcription for 2 violins. -- 1939, [196-?]. Schiller, J.C.F. arr. By Herbert Haufrecht, Joy, Oh Wondrous Daughter, New York: Edwin H. Morris & Company, 1951. With transcriptions for 3 violins and cello. -- 1951, [197-?]. Praetorius, Michael translated by Theodore Baker, Lo, How a Rose e’er Blooming, New York: G. Schirmer Inc., 1894,1949. With transcription for 3 violins. -- 1949, [196?]. Willson, Meredith, arr by William Stickles, May the Good Lord Bless and Keep You, New York: Pickwick Music Corporation, 1951. -- 1951.